T-Mobile Cell Phone Plan Deals - Any Good? 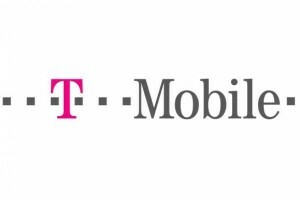 T-Mobile is one of the more popular cell phone service providers in the United States. They pride themselves on offering economical and reliable plans to their subscribers. The details of their plan packages are outlined here. T-Mobile offers some of the most economic plan packages in the cell industry. An unlimited talk plan for a single line cost $59.99 per month. Unlimited talk and texting plan will cost $69.99. Finally, for talk, text, and web access, a single line costs $99.99. A family plan with unlimited talk costs $99.99 for the first two lines and $40.00 for each additional line (up to five total). Unlimited family talk and text is $119.99 for two lines, and is again $40.00 for each additional line up to five total. If your family wants unlimited talk, text, and internet access, it will be $179.99 for the first two lines. Lines three, four, and five have a degree of flexibility with this final package. If you have a smart phone, unlimited data can be added at $30.00 per smart phone line, or $10.00 for each regular phone line. This cheap cell phone service provider also has some more traditional plans. 500 minutes per month can be purchased for $39.99, or 1,000 minutes for $49.99. Unlimited texting can be added for $20.00. There is also a family plan offering 750 minutes for only $59.99 for two lines of service. T-Mobile was the first major provider to offer the Android smart phone. They now offer several different Android selections as well as BlackBerry devices. Windows phones can also be obtained with T-Mobile coverage. Unlike many of the other major cell providers, TMobile does not offer any of the video streaming options, possibly due to their weaker network. Still, this provider does have a wide selection of T-Mobile ringtones, ringbacks and wallpapers, so it is quite easy to customize your phone in your own personal flavor. If you wish to have an even cheaper plan, you can go with the Even More Plus option offered by T-Mobile. This is basically a prepaid plan, but it does have one major negative factor: the cost of the phone you wish to use is not subsidized. T-Mobile plans have a standard $35.00 activation fee. If you wish to cancel your contract early, there is a $200 early termination fee. T-Mobile offers some of the most affordable plan options, but their 3G service coverage has received more complaints than some of the other major cell providers. Still, this company has a great product backed up by its affordability and its excellent customer service. If you live in a well-covered area, a T-Mobile phone plan might be your best option.